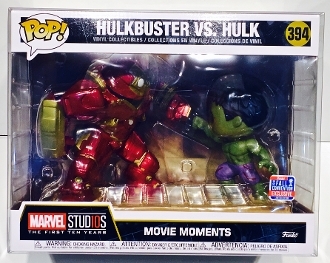 1 box protector that fits only the Funko Hulkbuster Vs. Hulk Movie Moments. We don't know of anything else that fits in this protector at the moment. We do have the standard Movie Moments protectors listed also. International Customers: This isn't set up for International shipping because it doesn't figure the shipping properly. We can ship this to anywhere but you'd need to contact us with what you need so we can figure out the correct shipping and send a Paypal invoice. This won't be cheap to ship Internationally. Acid-Free 14mil .35mm PET plastic.